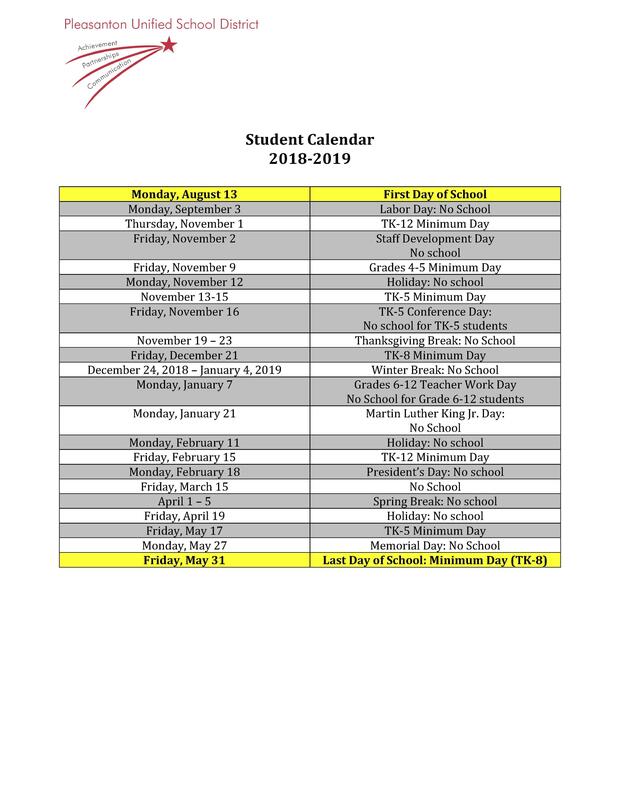 We are pleased to share the calendar for the 2019-2020 school year. The calendars below include dates for the first and last day of school, holidays, breaks, minimum days, and non-attendance days. On February 13, 2018 the Pleasanton School Board adopted the calendar for the 2018-2019 school year. 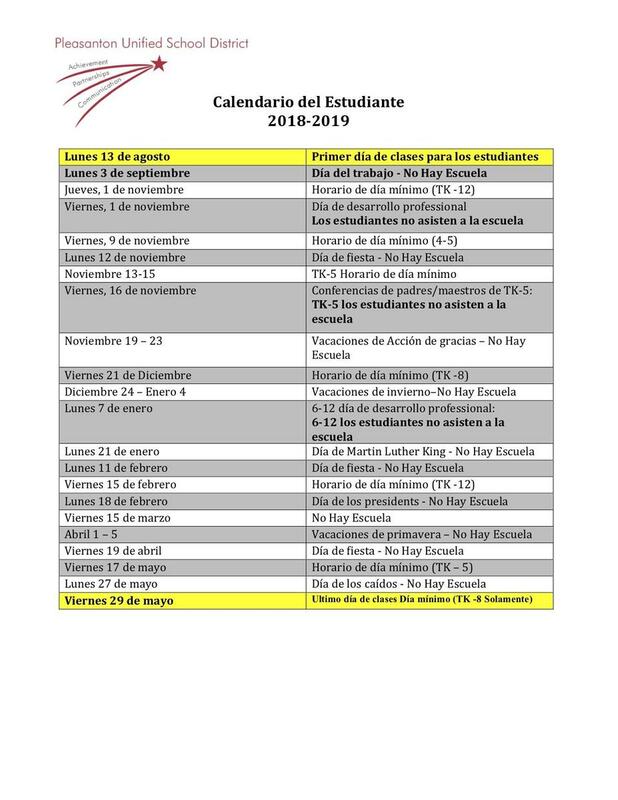 The calendars below includes dates for holidays, breaks, minimum days, and non-attendance days.